Travel does not have to be limited by ability or finances or a fear of flying. Why not plan a road trip with friends and family? Visit the beautiful coast of California. Take a drive through the historical capitals, Washington D.C. or Toronto, ON. Spend a day at the fun-filled amusement parks of Florida. Or maybe a camping trip? For information on accessible routes and destinations, or help choosing for perfect destination, have a read! Here are some great resources to check out: Barrier Free Travels, 22 Accessible Road Trips, TravelinWheels, Wheels Traveler, and Frommers. We’ve also compiled a list of accessible must-see places to help you get started. Hanauma Bay in Honolulu, HI loans out beach wheelchairs free of charge to visitors with physical disabilities. The National Sports Center for the Disabled in Winter Park, CO and The National Ability Center in Park City, Utah provide adapted sports and programs for all ages and abilities. Rocky Mountain National Park near Estes Park, CO is an abundance of natural beauty, with accessible trails, boardwalks, and campsites. Morgan’s Wonderland in San Antonio, TX is the only theme park in the world in which every ride is accessible. Park attractions were created based on the principles of sensory integration. Ludington State Park in Ludington, MI has beach wheelchairs available as well as an accessible boardwalk. The Henry Ford Museum and Greenfield Village in Dearborn, MI is an accessible venue that depicts American history through exhibits, programs, and re-enactments. Disney World in Lake Buena Vista, FL (or Disney Land in Anaheim, CA) is a popular destination for families and is famous for accommodating guests with disabilities. The Metropolitan Museum of Art in New York City, NY is wheelchair accessible and runs programs for persons with disabilities. Victoria, BC has a variety of accessible bus tours and boats for sightseeing the beautiful British Columbia. AB is home to some of the most beautiful and accessible national parks. Grab a map and drive to Jasper, Banff, and/or Calgary to see all that nature has to offer. Niagara Falls, ON showcases accessible attractions such as a boat tour entitled Maid of the Mist, a Journey Behind the Falls, and the White Water Walk boardwalk. Toronto, ON offers modified tours of the Toronto Botanical Garden, as well as access to the CN Tower and the Toronto Harbourfront. Old Montreal in Montreal, QC, with its cobblestone streets and accessible grand stone buildings is a beautiful section of town (streets may not be easy to travel for some). Do your research. Make a packing list beforehand. Bring entertainment/brush up on car games if you are traveling with children. Car rides are more fun with good snacks and good music. If you have a GPS, use it! Take photos of your family/friends and your travels. Be flexible! What type of accessible minivan is right for you? Use this checklist to find out and see a few FAQs too. How much does an accessible van cost? The cost can be split into two parts: vehicle cost and conversion cost. The vehicle cost will vary based on individual preferences and whether or not you buy a brand new van. A minivan could range from $15,000 to $60,000. Similarly, depending on the type of conversion and which options you’d like, a conversion may cost anywhere from $16,000 to $27,000. Can I get my current van converted or do I have to buy an accessible minivan ready-to-go? You may be able to convert your current van depending on the brand and its condition. The best thing is to call your local conversion dealership or the manufacturer directly and ask them if yours is a model that can be converted. Are accessible minivans safe for passengers in wheelchairs? Yes. They are just as safe as traditional minivans. Any reputable converter of wheelchair accessible vans will have performed seat belt tests and crash tests (front, side, and rear impact) to comply with federal safety requirements (FMVSS and CMVSS). You should not be hesitant to ask for a copy of these tests when you are purchasing a vehicle. When it comes to accessible minivans, there are a lot of options to consider. Take some time to think about your needs today and consider if they may also change in the near future. It is helpful to know what you are looking for and then work to find a vehicle that fits your criteria. And don’t be shy about asking questions. 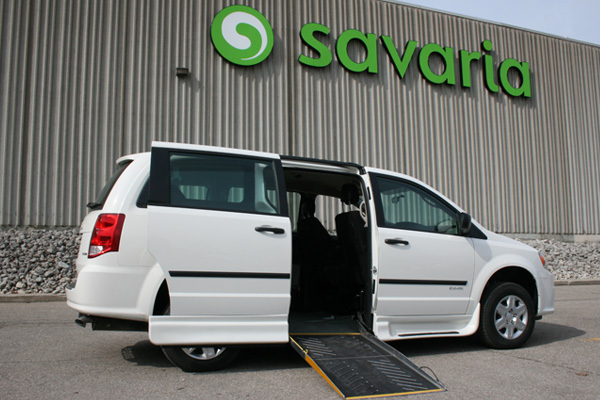 Dealers and manufacturers are there to answer your questions and help you find the right wheelchair accessible minivan for you. Is web content just one click away? 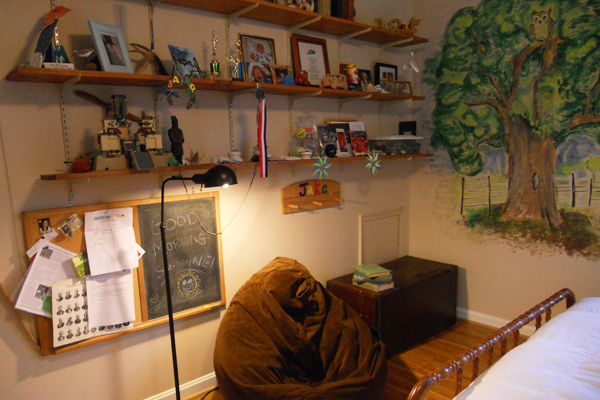 If you were asked to picture your idea of accessibility, what would you see? An entrance way with a ramp? A building with an elevator? What if you were asked to picture a person with a disability? Is he or she in a wheelchair? We often think of accessibility as physical access for people in wheelchairs. But it has a much broader scope. Web accessibility extends beyond physical space. The power of the web lies in its universality; access for everyone is an essential element. The ability to “be online” is an integral part of our lives: we pay our bills, we shop, we read the news, we interact with friends, etc. In fact, there are businesses that exist almost entirely on the web (Amazon, Google, eBay). Yet many services and websites are not accessible to groups of people with certain disabilities. Potential users may include persons who are color blind, partially or completely blind, hard of hearing, or deaf. Users may also have limited mobility in their upper body or a learning disability. These individuals most likely encounter barriers to their online navigation on a daily basis. Things like small text and poor color contrast could impact those with color or partial blindness. For deaf people, multimedia components may be difficult to access without captions. Sites that require a mouse to navigate present a barrier for persons with limited mobility. And complicated writing may provide difficulty for anyone with a learning disability. If you are more advanced in the IT department, check out ways to alter your code to allow for keyboard navigation and screen-reader compatibility. The web is such a big part of our daily lives that it has become a necessity. It provides access to almost anything you can think of. The phrase “Google it” is probably expressed once every few seconds around the globe. So now it’s our turn to provide access to the web!